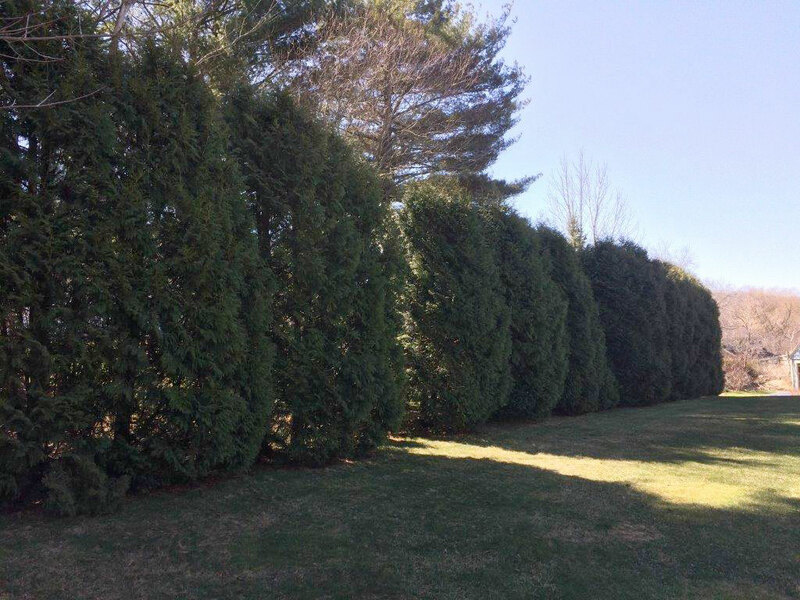 Arborvitae screen in Pittsfield, Mass. Arborvitae will produce growth from dormant buds on old wood. The lower branches need sunlight and air flow to grow so you will need to continue to trim these trees. Both the vertical shoots at the top and throughout the tree should be trimmed so that they don't shade and prevent air flow for the bottom branches. The trimming stimulates further growth. The base of the shrub should be wider than the top. This will also help prevent tree damage from ice and snow buildup in the winter.